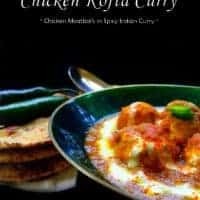 Chicken Kofta Curry: tender chicken meatballs/koftas, delicately simmered to perfection in a flavorful creamy sauce made using Indian herbs. 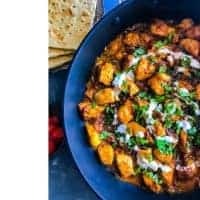 The transition from autumn to fall is such a perfect time for warm and delicious comfort food like this Chicken Kofta Curry. 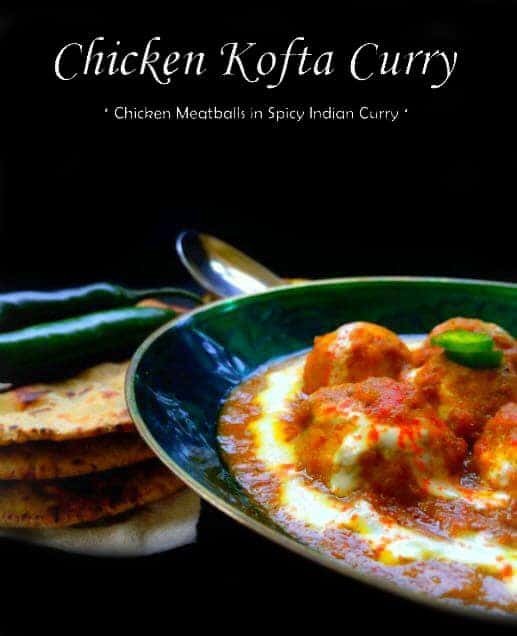 What is Chicken Kofta Curry ? 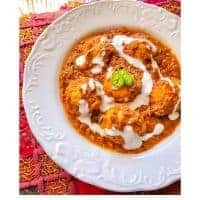 Chicken Kofta Curry is meatballs made using ground chicken that’s cooked and simmered in a saucy tomato-yogurt gravy using Indian spices+herbs. 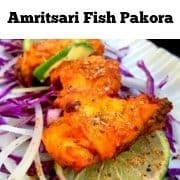 This recipe is from Lucknow(India), which is an extremely popular city for Non-Vegetarian recipes or the Mughlai Cuisine. No matter how far we stay or how long we’ve lived out of India, the first mention of curry, makes us nostalgic and emotional. And just the other day, a couple of us foodie friends were discussing our city, culture, and food and that conversation sure left us with a thirst of home cooked meals back in childhood days. 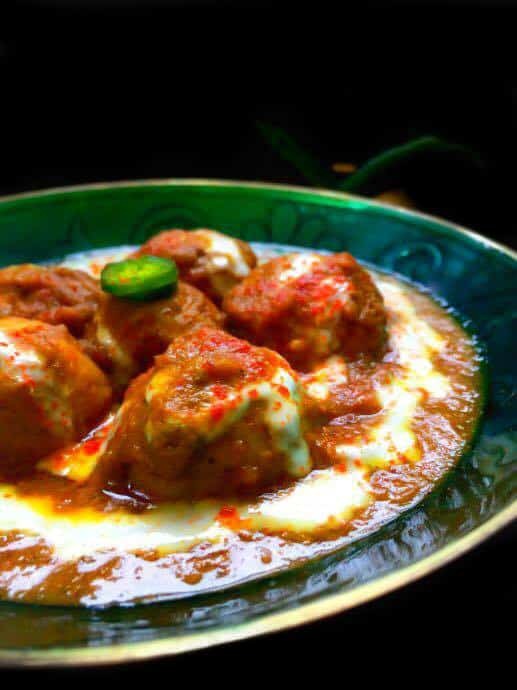 So I planned to make these Chicken Kofta Curry which are such a delicacy from ‘Lucknow‘ (UP in India) – also known as the City of Nawabs. Lucknow is famous for its cloth embroidery, sweets, street food, it’s rich culture and Mughlai food (Vegetarian & Non-Vegetarian). 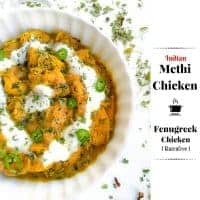 These chicken koftas are so easy to make, all you need is some ground chicken, spices, flour and you are good to go. 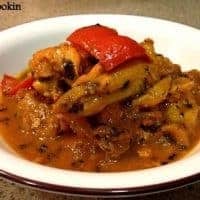 The curry is simple yet adds such a delicious flavor. So here we go with the recipe details – Hope you’ll enjoy it as much as we do. 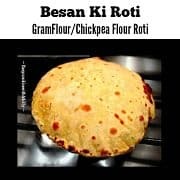 In a food processor (with dough attachment or you can use kitchen aid mixer) add all the 'Kofta' ingredients and pulse to form a smooth dough (Takes about a minute). Transfer the dough to a bowl and make 10-12 round balls. 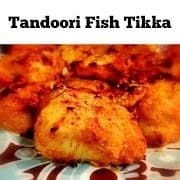 Place the chicken balls/kofta on a plate, cover and keep in the refrigerator for about 30 mins (This helps the dough to firm up and prevent kofta's from breaking). In a food processor/blender, add onion, ginger,garlic, tomato and form a smooth paste. In a large non-stick, heat oil and ghee for a 1/2 minute. Add the whole spices and let it roast for 1/2 minute on medium heat. Now, pour the onion paste, saute for a minute, cover and let it cook for 4 minutes (saute every minute). Add the powdered spices, yogurt, water and saute everything to a smooth mixture. Now, remove the meatballs from the fridge and place them delicately on the simmering gravy. (The meatballs are going to be cooked in the gravy). Cover with lit, lower the heat and let the meatballs cook for about 2-3 minutes. (Keep an eye). After 3 minutes, remove the cover, touch the meatballs using a spatula and they should be cooked. Saute the curry and meatballs light and cook uncovered for another 3-4 minutes. 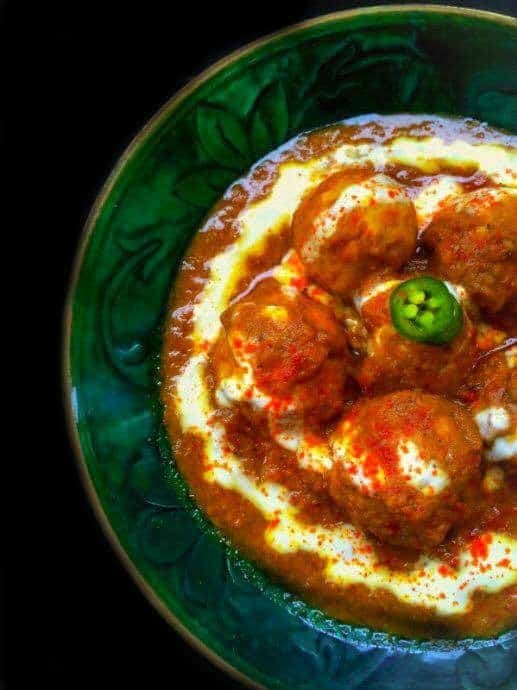 Turn off the heat and transfer the kofta curry to a serving bowl. Decorate as per choice(use chilies n yogurt) and serve hot with choice of sides. 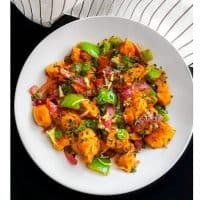 53 Replies to "Chicken Kofta Curry (Indian Chicken Meatballs in Curry)"
Is it necessary to use chickpea flour or can we use eggs. Is it just me that cannot see where the green chilliest are used? Hi Liz, the green chillies are used as decoration or garnish on the dish. Healthy .. spicy .. AMAZING!! These look soooo good!! Great use of so many of my favorite spices .. I can’t wait to try this! 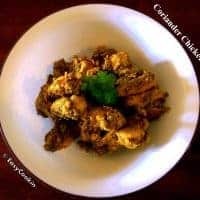 Oh, Molly, I am loving your curry recipes! 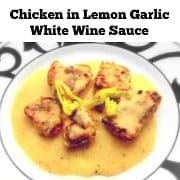 Creamy and bursting with flavors. Looks amazing! 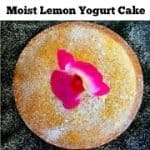 Yaaaaay – I’m so happy you liked the recipe 🙂 Thanks Oana. Looks so yummy! 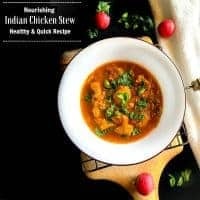 I have a cold right now, so a curry sounds like it would be the perfect thing to eat! Curry would be a great idea in cold.